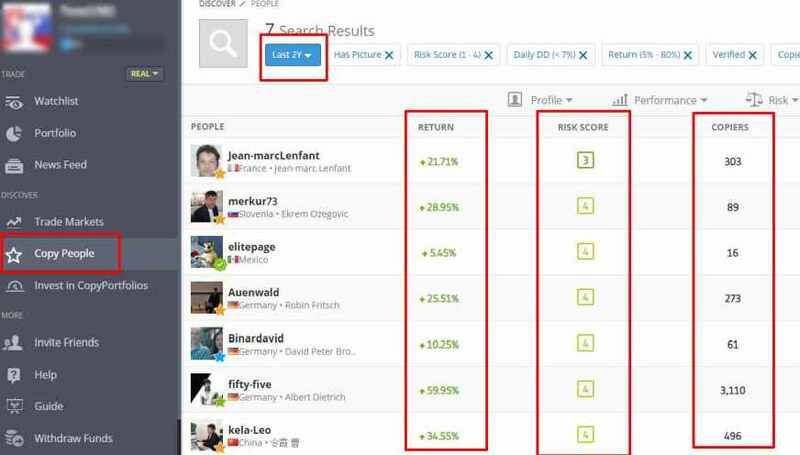 eToro Review 2019: Shocking Experience + Scam or Not? 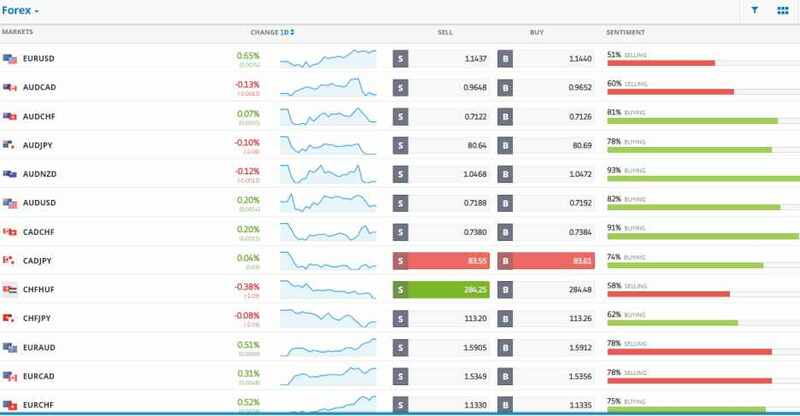 I did this eToro review to understand if an average trader can really earn money just by using eToro’s very popular copy trading feature. Why is eToro different than any other trading platform? Search for their nickname in SEARCH field. Risk disclaimer: ** Past earnings are not at all a guarantee of future profits. What is eToro and why is it so popular trading platform? eToro is simply a world-wide social trading network that connects investors and traders around the world. Something like a Facebook network, but a place where less experienced traders meet and copy trades of profitable investors. It is free to signup and watch other people’s trades, follow them and even chat with them. If you want to earn real profit you must deposit real money of course. In case you are really good at trading, you can directly place your own trades without copying anyone and become a guru that will be copied by others. 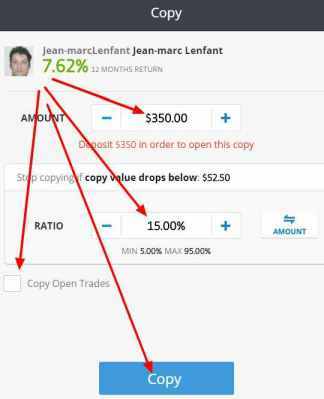 This way you will earn money from eToro for each single copier that will copy your trades! ou can switch between various time frames starting at 1 minute all the way up to 1Week. It was also easy to zoom in and out. Again, it is not the Metatrader 4, but 8 out of 10 traders will be satisfied. How does eToro’s Copy Trading work? Once you have signed up for your free account (e.g. click on above button on this page), you can immediately log into the webtrader. You can start searching for the best traders who trade with instruments tha you are interested in and who have the potential to make you money in the future. First of all, click here to register your free account. Then log in to the webtrader platform. There is a virtual amount of $100,000 waiting for you inside your practice demo account. No worries you can deposit your real money anytime later. Now set up your nickname and correct language (currently you can choose from all major world languages). 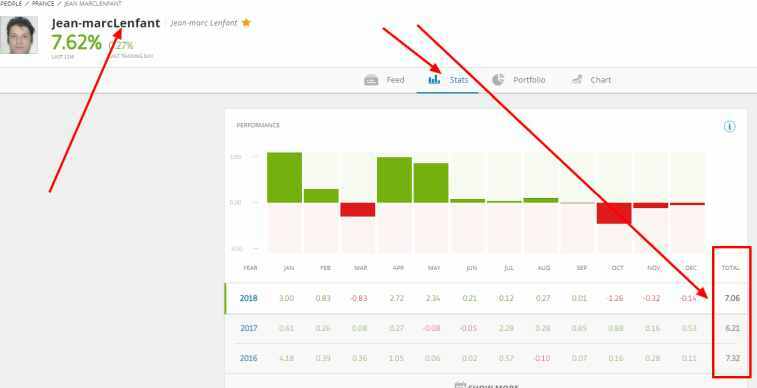 Now on the left hand side there is a panel, please click on “Discover – Copy People” where you can find an overview of all traders who are active on eToro. In the next step we set when the trade will be automatically closed, in case the market goes against your position and you start to lose: “Stop Copying if losing more than” .. for example, I use 15% (also use at your own risk) .. meaning if my investment of $350 for this guy drops below $52.50 then it will be stopped by system. For each of the traders, I firstly recommend you to look first at their STATS tab. COPIERS – indicates how many other people are copying him/her. Trader earns money from eToro for each single copier, therefore he is motivated to trade profitably. In many cases we can say, the higher the number of COPIERS the more gain the trader has made during the selected time period. We suggest you dont blindly follow this number, as many people who are just copying dont use their brain! Sometimes you see traders who took a break from trading, yet they still have hundreds of copiers! Do your own due dilligence and you will be just fine. TRADING section shows you the trading style of a particular trader. At the top you can see the history of trades, meaning how many trades in total he has done on Etoro. + Further you can see what percentage of all his trades were profitable (quite important!). You can see here the split of his portfolio. You may even select the percentage and filter out only people trading forex, stocks or mostly crypto traders if you like. FREQUENTLY TRADED – At the bottom, you see the TOP 3 trades that this person is involved in (including specific stock titles or specific currency pair). STATS showing the profit/loss per year/month for each trader that you find on eToro network. You can of course trade the markets on your own. There is a wide range of tradable assets at your disposal. Click on tradable assets section. Do you want to invest like a hedge fund ? … then read this. These are pre-made portfolios of assets grouped into bundles where each bundle represents multiple markets. Islamic Account Yes swap free account ! Before you decide to deposit real cash, you can play on practice demo account with $10.000 virtual cash. We tested eToro demo account and luckily all functionalities and perks that are at disposal in real version were also available demo! Meaning, you can let the trades run overnight, copy top investors, place your own trades and strategies without any problem. Demo account seems to be available without time restriction, so it is completely up to you whether you deposit in 10 days or later. Currently the minimum first deposit amount is $ 200. Select the payment method and enter the AMOUNT you want to deposit into eToro. We recommend either your local deposit options or the SKrill or credit card method (Visa, MasterCard etc.) the money will be available immediately within few minutes and you are ready to start trading. Another good way is to choose PAYPAL or Skrill according to whether or not you already have an account. eToro gives you also plenty local deposit options that vary country to country. When WIRE TRANSFER is selected, it may take several days for money to arrive, and further banking fees may apply. What minimum deposit investment is recommended for eToro ? Well the minimum deposit is $200, but that will be enough to copy just 1 person. My personal trading strategy is always about “risk diversification” so when I trade I rather diversify the risk of loss and choose 4-5 solid investors to copy with $200 per head. That is $1000 investment spread across 5 investors. Again, that is just my way of trading, if you dont like this approach, you can invest the absolute minimum and invest $200 into one trade. But why would you put all your eggs into one basket right ? Or you can of course do your own trading with your own strategies inside the platform and don’t copy anyone. You earned a nice profit and now want to withdraw money from eToro right ? All regulated brokers have to comply with strict regulation rules concerning KYC (Know Your Customer). That means you will need to verify your account either before your first deposit or before withdrawal. Your deposit and withdrawal methods should match. It is the criteria set by the law in order to prevent some nasty stuff like money laundry etc. Therefore think before you deposit, if you use the paypal or card number 123 then you will be able to withdraw to that same card number 123..
Also note that withdrawal fees may apply. Click on the person icon in the left upper corner, when you are logged in. Last but not the least, in order to start trading you will have to fill and submit the KYC form. It is the prerequisite set by the law and eToro as a solid and regulated company must comply with the law of course. Once you are done with this, your account is 75% complete, you can start trading with investment up to $2000 and once you want to lift that limits, you will need to verify with your phone number via SMS. Is eToro a scam or is it Legit? Many people in forums ask, whether eToro is scam or not. Well based on what we saw during the testing, eToro is NOT a scam. At the end of 2018 when I reviewed eToro, communication with their customer support team was smooth and fast and the platform was working fine too without requotes, hunting for stop-loss or other shady practices that you encounter with brokers from some small tiny unregulated jurisdictions like Belize. Remember that many etoro reviews that can be found across the web were written by traders who gave up on trading, who have no trading strategy, no prior education, they know nothing about risk and money management and just gamble. On the other hand there are tons of etoro reviews that are positive and these are from traders who use their brain and copy the right persons with a clear strategy in mind. Nowadays forex scam is not happening among regulated brokers and eToro is CYSEC and even Australia ASIC regulated which is pretty strong regulator if you ask me. In my opinion eToro works great for newbies who want to jump start trading forex, crypto or stocks on a solid trading platform. If Apple was an online broker, we are sure their platform would be very similar to eToro from simplicity and user friendliness perspective. I recommend eToro specifically for forex, real stocks and crypto trading, as it seems that this company invests a lot into these offerings. According to my information just during this year they have added most popular crypto currencies into their trading portfolio + they have launched real stocks trading and added many new forex currency pairs. When we talk about the platform itself, I personally think it is very intuitive, meaning you will find anything very quickly without a lot of search. All items can be found exactly where you would expect it to be. Especially the newbies who have not yet developed a sense of complex perception of trading,will for sure benefit from intuitive and easy to absorb visual processing of trading data across the whole platform. Reading the eToro’s reviews across the fx forums I think the main eToro’s success comes from smartly implemented copytrading feature, low min.deposit and good customer support. Min.trade requirements are micro lots btw which makes sense if you want to cater to newbies. Advanced forex traders who decide to join, could benefit from being copied by others (remember that eToro pays you for each copier). So if you are good at multiplying money trading, you can give it a try. Veterans and very experienced forex traders may find eToro more expensive than their favorite ECN broker (higher level of brokerage) and they could be also missing Metatrader 4 or cTrader software. the high risk of losing your money. Is it a big problem ? Hi Monica, not a big deal really. 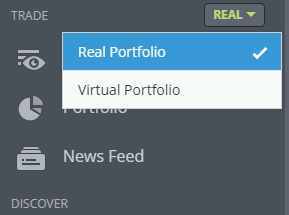 During the eToro review I personally never selected that option as I felt more comfortable with copying only future trades. It just depends on what your overall strategy is. I prefer to leave it unticked. Thx. Etoro withdrawal process was very fast when comparing with some shady brokers that I used before. If I had to rate this platform, I would give 4.5 stars out of 5 rating! Thx. Hi I am from Singapore and Etoro is very popular here. Just recently started to invest using Etoro broker. I am very pleased so far with the results. I do trade stocks on my own and also copying a dude called liborvasa .. so far so good my portfolio is up +5% since November. Cheers!